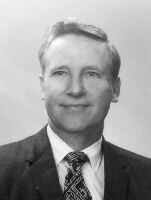 The Don Sahli Scholarship Fund was established in 1971 to honor Dr. Donald G. Sahli, executive secretary of the Tennessee Education Association at the time. When he retired in 1976, gifts from educators assured continuation of the Don Sahli Scholarship Fund for members of the Student Tennessee Education Association. Today, many locals contribute annually to the fund which has grown from granting one scholarship to granting eight. Donald G. Sahli was a man who could appreciate the value of a scholarship, regardless of the size. A scholarship lightened many burdens for him as he struggled financially while attending college, especially as he worked for his master's and doctorate degrees at Ohio State University. Sahli brought a broad background of experience - as high school teacher of mathematics and history, college instructor and dean, superintendent and high school principal - to TEA when he joined the staff in 1956 as director of public relations. The TEA Board of Directors elected him to the Association's top executive position in January 1963. He retired in 1976 as executive secretary emeritus. Under Sahli's leadership, TEA membership increased significantly: the staff increased from five to thirty-two; the TEA headquarters building mortgage was burned; the TEA and Tennessee Education Congress merged successfully; professional liability insurance and the UniServ field service program were established; and members approved the unification of the local, state and national Associations. Sahli was the first Association executive secretary in the country to serve on the Education Commission of the States. He also served on the executive committee of the National Council of State Education Associations. A national colleague declared, "Dr. Sahli's contributions to the teaching profession are etched on the mileposts of educational progress in Tennessee and the nation." 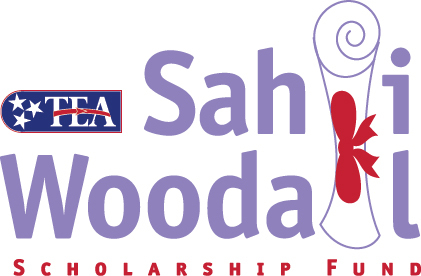 To honor Kathy Woodall, the Board of Directors of TEA created the Don Sahli-Kathy Woodall Scholarship Fund as an honor and memorial to the only TEA President to die while in office. Kathryn C. Woodall died at her home September 6, 1996, after a long battle with cancer. Woodall began her second two-year term as president in July 1996. Woodall was a native of Cheatham County and a proud graduate of Austin Peay State University. She was an educator in the Metro Nashville Public Schools for 28 years, concluding her work there as a guidance counselor at Gra-Mar Elementary School. A lifetime Association member and activist, Woodall was president of the Metro Nashville Education Association in 1987-88. 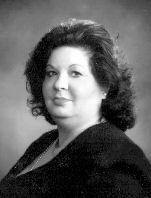 She was elected to the TEA Board of Directors and served in that position from 1988 to 1991. From 1992 until her election to the TEA presidency in 1994, she served Tennessee teachers as TEA vice president. As TEA president, Woodall initiated the idea that Tennessee should "celebrate the success" of public schools and made that the theme of her presidency. She played a major role in helping pass legislation that guaranteed safer schools in Tennessee and in gaining legislation which no longer required teachers to perform medical procedures on students with special needs. She lobbied successfully for a reduction in class sizes while MNEA president and, as TEA president, for funding to reduce class sizes statewide. Woodall was a strong-willed, no-nonsense professional woman whose voice and demeanor commanded respect for her and the teachers she represented. A caring, compassionate person, she loved the children with whom she worked and, most especially, her family. In her eulogy, a close friend said, "Though Kathy was a teacher first and always, she will be remembered for her strong teacher leadership in Nashville and Tennessee. She enjoyed going head-to-head for teachers and taking on anyone who dared not to believe in public schools or public school educators." Application must be made through the local STEA Chapter. Application must be made by the TEA member parent of the applicant. Application must be made by an FTA Chapter affiliated with TEA. Application must be made by an FTA Chapter, if available, or by the student with the recommendation of an active TEA member. These scholarships are awarded on the basis of academic excellence, demonstrated leadership abilities, economic need, and a demonstrated interest in becoming a teacher. Application must be made by a local affiliate. This scholarship is awarded on the basis of past activities in the United Education Profession, academic ability, need, leadership, and potential leadership capability. More information on all these scholarships is available from TEA.